Local marketing is in higher demand in the small business sector like restaurants, smaller practices that cant rely on the same advertising budgets that bigger franchises or larger companies are able to. 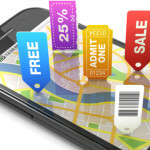 Location marketing allows small businesses to advertise digital coupons, loyalty reward programs to the impulsive consumer within the location at the time or day of coupon hand outs. Although a relatively new concept in South Africa companies such as Yelp, Waze, Foursquare have gained huge popularity in USA and parts of Europe. 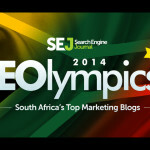 Here are some interesting links on the increasing interest location based marketing is receiving here in South Africa. Platform lets business zone-in on customers- published by itweb. Contact us directly and start discussing your new campaign. Keep up to date with what we are doing. Send your details and join our mailing list.